Home Link bait Search Engine Optimization The beauty and power of Link Baiting in SEO! The beauty and power of Link Baiting in SEO! While we reach out for the best SEO techniques that would help us to extract more positive results in our blogging journey, you should consider the power of Link Baiting .Most people who engage in online marketing are adept in this technique or If you are not aware ,it’s possible that you've used this SEO techniques already but you haven’t know how it works and how it was done. 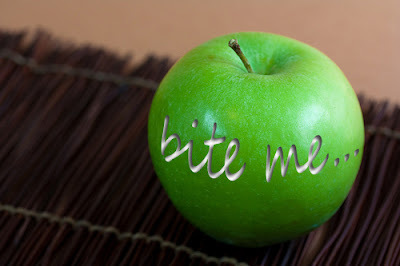 Link Baiting is like you’re presenting a good apple out of your post basket-the blog. Once the customer like your sample they would surely buy them in piece quantity or the basket and if they’re satisfied I’m sure they will keep coming back-they are you’re loyal readers yet. Link Baiting for short is a piece of media to entice or attract visitors to read a certain featured articles in your blog. The article might be a fresh one, informative, funny or somewhat a very interesting one. Link Bait could be a form of text, graphics or simple animation that could easily catch anyone’s attention. Is Link Baiting Legal and Good? The answer is YES. Link Baiting is a White Hat SEO technique, a natural link building strategy, ethical and practiced by popular bloggers. Unless on a bad type of Link Baiting. I mean Link baiting had somewhat bad connotations like what Darren Rowse pointed out in his Link Baiting post that it’s likely you’re trapping or tricking you audience about a certain topic and soon. I agree on it. Other had the bad impression on Link baiting because of Link Scams and other annoying thing prompt the innocent users. There are straight good reasons why you should use Link Baiting. Link Baiting helps you to promote your blog by providing a fresh looks, reliable or something new by prompting them to visit. Thus, if you provide the excellent quality of information to your audience it will give you these results; higher web ranks, quality incoming links, increasing page visits, more new subscribers and opportunity to get discovered by loyal readers. How to start Link Baiting? Link baiting could be done in many ways. Sliders, Badges, Banners and Pop-ups are usual examples of how Link Bait looks like. Ohhhws! As simple as that, “Yes, basically but be sure to read my simple tips”. In creating your own Link Bait, you don’t need to be an expert in graphics or drawing either. Link Bait can be done in a very simple way but attractive and powerful. To get a better start in Link baiting please read Darren's 20 Techniques in Link baiting. Link beating is a very simple maneuver to get a free traffic for your blog. Once you have established a good image with your Link Bait, you can surely lure more visitors and even get a viral impact online. It’s like every one can’t sleep without clicking and knowing the end of the link is.lol…. Do I miss something?Please add and let's disqus here!